We the members of the northern regions for NPP wish to express our profound gratitude to the Vice President of the republic of Ghana for making us proud. Alhaji Dr. Bahamudu Bawumia has proven to be an asset within the new Patriotic Party-NPP and the country as a whole. His performance has increase the already admiration for Northerners in NPP, and we are very grateful for that. Since he became Running mate for Nana Addo Dankwa AKUFO-Addo, he has increased the fortunes of the NPP which resulted in our victory in the 2016 elections. 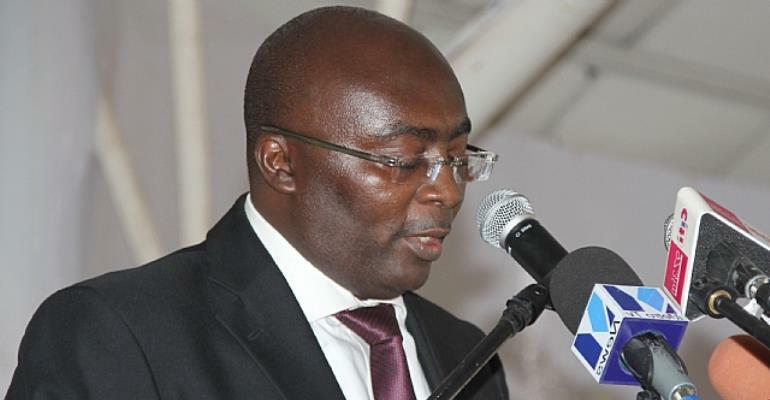 As a Vice President, Dr Bawumia has performed creditable well by championing IT and Innovations in government. His outstanding performance has brought admiration to extent that the Opposition party calls him “Adam Smith”. We want to state without mincing words that we are very proud of Dr Bawumia and will use this opportunity to call on our northern Brothers to vote massively for the NPP in 2020 elections. This government has performed beyond expectation. Programmes such as the National Entrepreneurship and Innovation Plan-NEIP, 1D1F, planting for food and jobs, digital addressing system, one village one dam, one village one warehouse, one constituency one million, reduction of import duties, free education, increment in of LEAP and many more proves that the NPP Government takes the welfare of citizens as a priority, not forgotten of the numerous infrastructure development going on. Our opponents who have stayed in power for 8years cannot not boast of any proper programme that the introduced to alleviate the living conditions of the people of this country and the north. We have no doubt that, the NPP continue stay in power will be a blessing to we those from the northern part of the country. The North have benefited immensely after the NPP was voted into power. We are by this press statement calling on the people of the North to rally behind the Nana Ado led government for victory in 2020.